The Web.com tour announced the schedule for 2018, and along with it, the events that will be televised. The LECOM Health Challenge made the TV cut for next year, one of 12 tournaments. 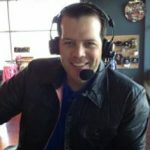 I had an opportunity to speak with Dan Glod, President of the Web.com tour about the LECOM Health Challenge, and the Tour as a whole.